New Delhi, March, 2015: Gigstart, the marketplace that facilitates quick and transparent connections between entertainers and party planners has versatile and talented comic artist Sunil Grover on board. Known for his currently popular character of ‘Gutthi’ on Comedy Nights with Kapil, Sunil will be looking to entertain people with his comic skills and artistry at corporate and campus events as well as private occasions through Gigstart. 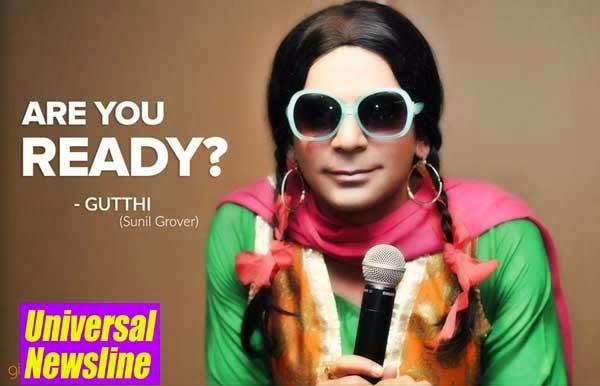 Sunil Grover will be available for bookings through Gigstart and can double up as anchor and stand-up comic for shows in Mumbai. Gigstart is a marketplace that facilitates quick and transparent connections between entertainers and party planners. Incepted in December 2013 in New Delhi, the company leads artists, performers and other organisers to their potential clients. It also aims to serve the customer-side by enabling them to make informed choices through verified listings, meaningful reviews and ratings. The main objective of Gigstart is to wipe out numerous interceding channels involved in a conventional event booking process. On the platform one can find anchors, stand-up comics, singers, dancers, make-up artists and photographers amongst others. Gigstart is a one-stop destination for planning a party or a mega event of any sort. Starting from providing various options, guiding party planners to the best-suited artists and connecting them, to concluding with payment services and contract formalities, it’s a unified platform that offers comprehensive solutions for all entertainment needs. Launch of Radhee Radhee Entertainments Pvt. Ltd.
Manish Gupta's 'Rahasya' Hits A Sixer!! !